I regret to inform you that you recently lost a lifelong subscriber. 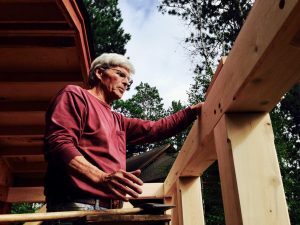 My father, Marc Brown, gifted carpenter, lover of triangles and timber frame construction, house rehabber and year one subscriber to FHB magazine died on October 17th of this year at the age of 76, his life cut short as so many before him, by cancer. Our story is not a unique one (at least I hope it’s not); I learned from my father and he learned from his. 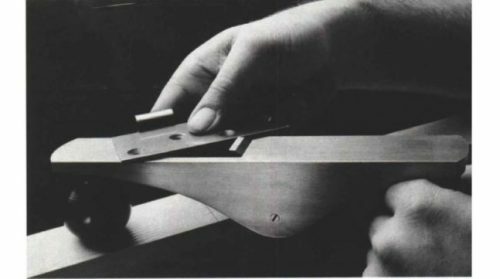 “Measure twice, cut once”, “let the saw do the work”, blunting the tip of a nail to prevent splitting the wood, all lessons I learned early on and continue to practice to this day. 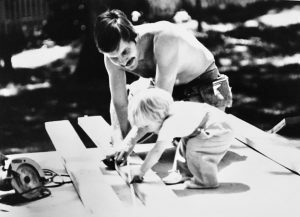 I’m not exactly sure when I got interested in fixing houses but in preparation for my father’s memorial service we discovered dozens of pictures of my father and I working together. 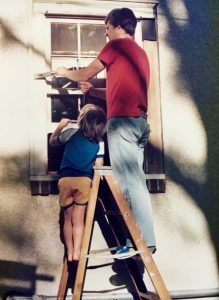 Photos of my father replacing a window or building a deck and there I was. Underfoot, and most likely in the way at first, I was eventually promoted to assistant and in recent years we worked side by side, as peers. My father could fix anything. If he didn’t know how to fix something he would figure it out. A gifted problem solver, the man could walk into a house, see things that others couldn’t, diagnose a problem and fix it. “What’s different” and “What’s changed” were two of his favorite approaches to diagnosing problems in a house. An observant house doctor, his powers of perception and understanding of house mechanicals was inspiring. And he loved doing it. Loved it so much that after he retired from a desk job of 30 years he and a friend started rehabbing houses in South Minneapolis Minnesota. In their retirement, a time when most people stop working and slow down, these two men, in their 70’s, were working harder than ever. By choice. The passion of working on homes and building far outweighed the everyday aches and pains of daily construction. They were sore and exhausted and beaten up and happy. So very happy. My dad was also an accomplished carpenter. 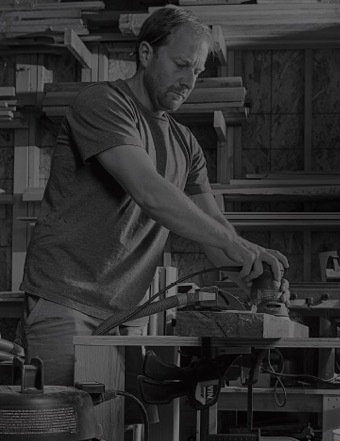 He built everything; medicine cabinets, Adirondack chairs, vanities, radiator covers, book cases, tables, desks, media centers, built-ins that fit as if they grew in place, and a cedar strip canoe. The canoe was something he did in his twenties, a feat that I was never able to replicate and was always jealous of. His pieces were functional, beautifully finished and built to last. I always said he overthought and overbuilt everything to great effect. Because of this careful approach, his projects often took much more time than they probably should have. And yet, time and time again I requested my father’s help fully aware of this fact. The extra time was always well spent. Filled with stories of past experiences, double checking, then triple checking. Pausing to consider fit and finish. He was relentless in his pursuit of perfection and it was always a joy to be part of his process. Often times I would ask for his help not because I needed it but because I wanted it. I will miss working with my father and fondly look back at projects that we completed. But the furniture he built and rooms and homes he rehabbed, as beautiful and inspiring as they all were, pale in comparison to the thing that would command his attention for the majority of his life. The cabin. 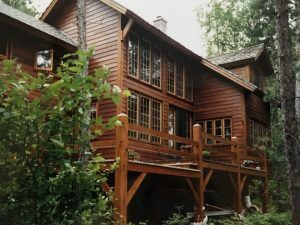 My dad had fallen in love with the Boundary Waters of Northern Minnesota as a boy scout and as soon as he could manage it, land was acquired, a foundation dug, and an enormous timber frame cabin was raised. It was 1986 and I was 11 years old. The entire experience was incredible. The size of the beams, the joinery, and most impressive to me was the fact that this massive structure, this tonnage of towering oak, was all held together with simple, handmade wooden pegs. I was fascinated. 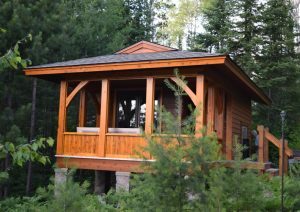 The cabin was designed by my father and built by Great Northern Woodworks, one of the first timber frame builders in the state of Minnesota. 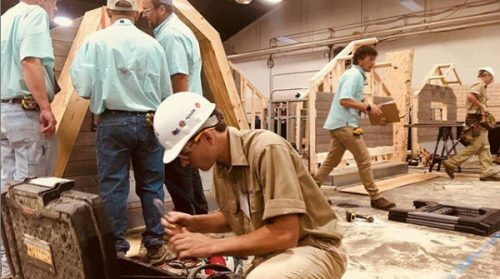 In between retirement and rehabbing homes, he briefly worked for the company in a finance capacity, trading some of his salary at one point to add a screen porch and guest room to the cabin. Although he wasn’t actually doing the work, just the fact that he was working in any capacity for such an organization was enough. He would often find himself taking breaks to walk down to the shop to wade through the sawdust and admire the work being done there. A new technique for sheathing a timber frame structure with stress panels was used on the cabin. These stress panels were huge sheets sized to order made of small cell foam sandwiched in between an interior layer of drywall and an exterior layer of plywood. All were linked together with built in fasteners encasing the structure in insulation and ready to be taped and mudded on the inside. It was an innovative system for timber frame structures at the time and one my father improved upon by pre-measuring and ordering only the exact amount necessary for a building. This required laser-like precision, measuring each and every piece, planning for where each seam landed on the structure and calculating multiple angels to accommodate roof and dormer pitch. In the end he saved the company thousands of dollars on each build and I’m sure delighted in the mathematical work. And, like everything my dad did, told no one outside of Great Northern Woodworks. He reveled in his work but it was only for him. He rarely if ever spoke of his contributions to this field. 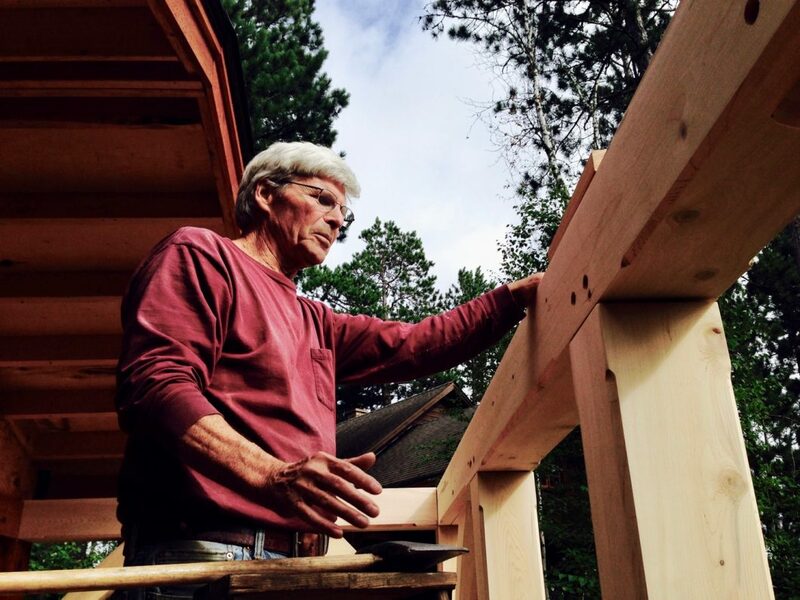 5 years ago, he designed and built a bunkhouse and sauna up at the cabin. A building whose footings were pored decades before having known all along that it would be there eventually. No cabin in the Northwoods of Minnesota is complete without a sauna. It’s an incredible structure with a timber frame screened in front porch, room for two to sleep on one side and a cedar lined sauna on the other heated by a Kuuma woodstove manufactured in the neighboring town of Tower. 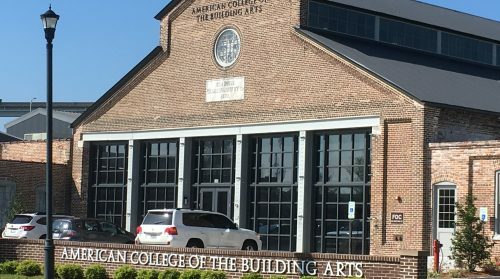 It’s pitched roof has a hipped gable, something that was described to me many times but took me seeing it in person to finally understand its construction and beauty. He said it reminded him of old train stations. It’s subtle, but beautiful and like everything else he did, flawless. He told me recently that he had read something about a man who was building a Viking ship and was diagnosed with some mortal illness mid build. This man vowed to finish the Viking ship and sail it to Norway (or some Scandinavian local) before he died. My dad said that the bunkhouse and sauna was his Viking ship. In the early morning hours of October 17th 2018, my father passed away. Peacefully and flanked by his son, daughter and wife of 50 years. Along with his loving family he left behind countless pieces of furniture, 11 rehabbed homes, 1 brilliantly beautiful cabin in the woods and an issue for issue collection of every FineHomebuilding magazine ever published. You didn’t know him but he was there from the beginning and was the epitome of the craft. Marc Brown. Rest In Peace, Friend.